Blue Cross is the rare exception in the modern health insurance industry as it provides medical and travel insurance that is primarily focused on people in the ASEAN region only. Originally founded in 1949 as the State Bonding Corporation and Insurance Company, Blue Cross came into being in 1986 following a rebranding of their medical insurance division. Headquartered in the Philippines and with subsidiaries offices and companies in a number of Asian countries including Thailand, medical insurance plans from Blue Cross have been custom made for individuals, families and groups living in South East Asia. 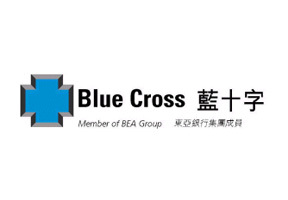 Attention to customer services and positive interaction with their policyholders led to Blue Cross establishing one of the first health insurance websites that allowed its customers online access to important information concerning claims, renewals and general administration policies and requirements. This development led to Blue Cross being nominated for and winning a number of medical insurance industry awards for innovative technology while maintaining a strong perspective on clients and customer services. As a recent arrival from Singapore, I contacted Thailand health insurance for advice on a plan that will offer me coverage for Asia as I travel quite extensively around the region. I was advised to review the coverage options from Blue Cross and was impressed by their individual plans which offer me comprehensive coverage while also retaining an option to widen the geographical coverage area at a later date. The staff at Blue Cross were extremely helpful and even went as far as informing me of the best medical facilities in my local neighborhood! Thanks to Thailand health insurance for pointing me in the direction of Blue Cross. Additional information on Blue Cross or on Thailand health insurance can be sent to you either by completing the request form located at the top of this page or by directly contacting one of our support and research staff here.